Cinco De Mayo Festival: Cinco de Mayo, Denver’s yearly tradition celebrating Mexican culture, begins with a parade of lowriders, floats and costumed dancers winding their way through downtown, and from there, it only gets better. Make your way through the maze of food and drink vendors dispensing green chile, tortas, street tacos, chile-infused jams, margaritas and tequila shots, and if you’ve got the guts, sign yourself up for the taco-eating competition. The Cinco de Mayo Festival is scheduled for May 5-6, 2018 at Civic Center Park. For more information, visit www.cincodemayodenver.com. Denver Burger Battle: If you’re a burger zealot, then this festival is for you. The Denver Burger Battle, a beefy combat among more than a dozen Denver restaurants, all of which vie for top burger honors in a spirited showdown, returns to Tivoli Quad Park for this year’s brawl. In addition to burgers, the super-popular outdoor event includes drinks from local breweries, distilleries and winemakers, along with live music and innovative desserts designed to mimic burgers. Good food and a great cause. One hundred percent of the proceeds benefit local charities. August 2, 2018 at Tivoli Quad Park. 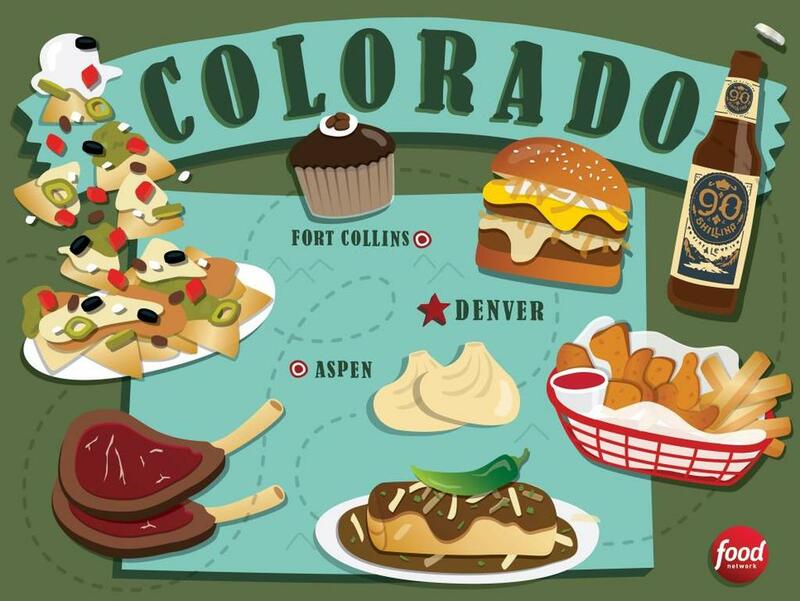 Visit www.denver.org and search Food Festivals. 2018 Denver Spring Wine Festival: Wine and great food are waiting for you this spring. The 2018 Denver Spring Wine Festival is a time to enjoy the taste of great wine and food, and friendly faces. Educate yourself while sipping wine and socialize the best way in a great venue with a cup in your hand, sunshine, and delight in the specials. The festival is scheduled for April 21, 2018 at Lil Devils on Broadway. For more information please visit www.eventbrite.com. Denver International Wine Festival: The 14th annual Denver International Wine Festival is the premier international wine and food festival in the Rocky Mountain Empire. There are enough events to pack into four days, including food and wine pairing competition, a tasting of 400 wines, beers, and spirits, plus educational seminars about wine, and a daylong tour of three local wineries and one distillery. The festival is scheduled for November 1-3, 2018 at the Denver Marriott Westminster. For details, visit www.denverwinefest.com. Denver Beer and Music Festival: The Denver Beer and Music Festival is an all-inclusive event bringing guests to downtown Denver at the beautiful Vinyl Events Center. Guests can try unlimited samples of over 600 craft beers, wines, and spirits. Enjoy the beautiful sunset as this event starts during the light and ends in the dark. Live bands and DJ’s headline the event and will get the crowd on their feet. The event also features lots of tasty food as well. The Denver Beer and Wine Festival will be held May 19, 2018 at the Vinyl Events Center on Broadway. For more information, please visit www.eventbrite.com. Oktoberfest Denver: Grab your beer stein, throw on your lederhosen, craft a pretzel necklace and join the throngs of revelers at Oktoberfest Denver, one of the city’s oldest and most convivial festivals celebrating German heritage with live music, polka dancing, a Long Dog Derby, the World Championship of Stein Hoisting, and, of course, a feast of Bavarian food and copious amounts of bier. Prost! Oktoberfest Denver is scheduled for September 21-22, 2018 on Larimer Street between 20th and 22nd streets. For more information, visit www.thedenveroktoberfest.com.